Are you looking to buy a canvas? If so you’ve come to the right place. We offer fabulous photo canvas prints that will brighten up your walls and showcase some of your best memories. 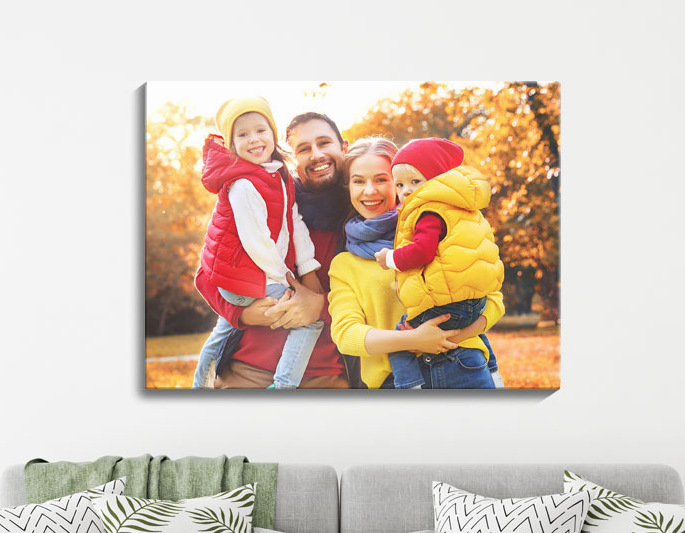 With a variety of sizes, edge options, and delivery choices available, you should have everything you need at your fingertips to create the perfect canvas print with ease and speed. Our canvas is 260gsm and is stretched over 38mm chunky bars. All canvases come with wedges in the corners to help keep the canvas taut. They also come laminated for protection and have a 10 year guarantee. 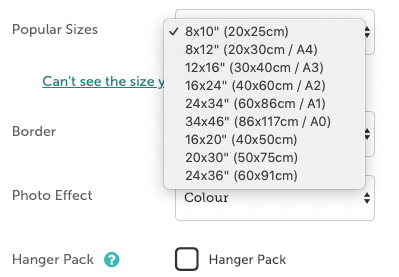 As an additional extra, you can upgrade your canvas so that it includes a hanger pack which will come stapled to the back of the frame. 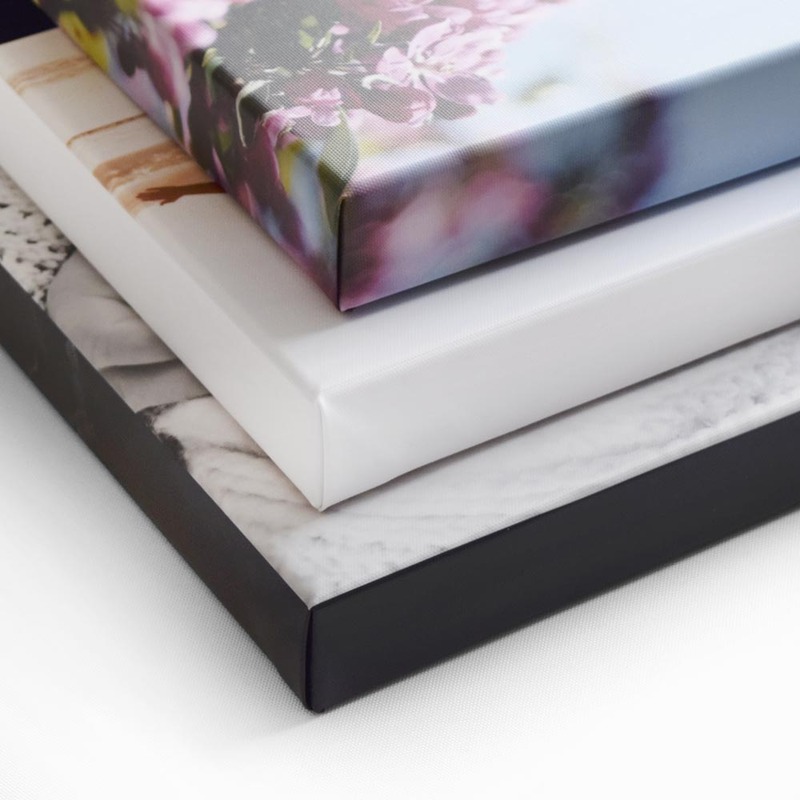 We offer a large range of canvas sizes starting from 8 x 8″ all the way up to 36 x 60″. Our most popular sizes are shown below. 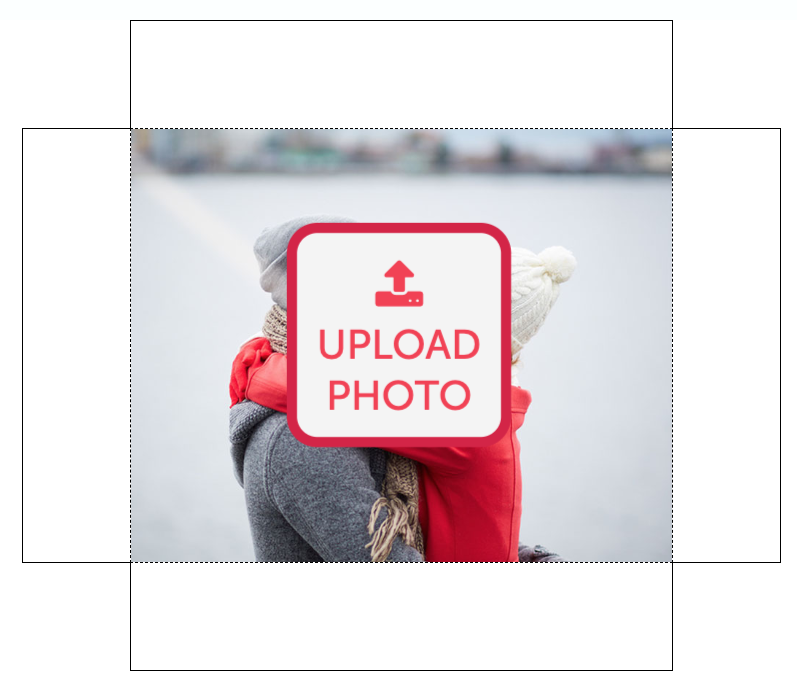 First you need to upload a photo of your choice by clicking the upload photo button shown in the centre of our dynamic online editor. The preview images will update whenever you make a change to your canvas. Once you have uploaded a photo you can then explore the options on the right hand side which are format, size, border, and photo effect. We offer a variety of edge options which are white, black, photo, mirror, mirror blur, or custom colour. A few of these are shown below. So what are you waiting for, for next day canvas prints click the link and create your masterpiece. Even better, have it delivered as soon as tomorrow*!